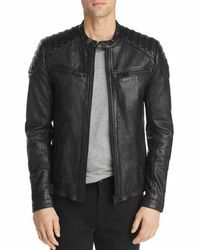 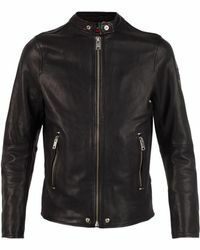 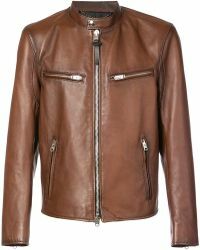 Every menswear wardrobe needs a leather jacket. 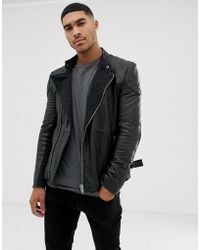 Best teamed with a crisp T-shirt and lived in denims, you can't miss out on the supple, rebel staple. 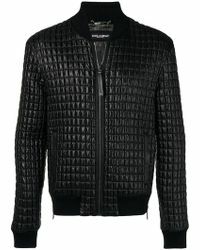 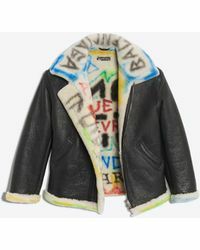 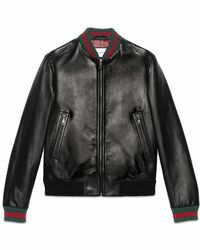 Vintage-inspired biker styles from Saint Laurent and Off White help channel your inner Marlon Brando, while Valentino's bomber jackets offer a modern update. 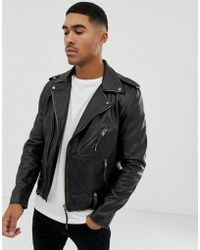 When it's time to go directional, find Rick Owens' asymmetric leather jackets, and embrace neutral looks with Belstaff and MELINDAGLOSS' tan alternatives.